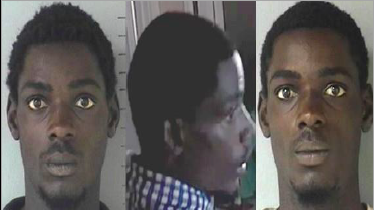 Nassau, Bahamas - Police are seeking the public’s assistance in locating a man who is wanted for questioning in connection with an Armed Robbery investigation. Darrell Bain, age 29 years of Amos Ferguson Street, Coconut Grove. Bain is described as being 6’3” tall, medium build with dark brown complexion. Anyone knowing the whereabouts of Darrell Bain is asked to contact the Central Detective Unit at 502-9991/2, 919/911 or the nearest Police Station. Bain is considered armed and dangerous.